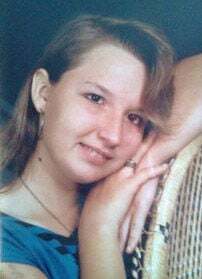 Lois Ann Cobb, 45, of Judson, passed away on April 1, 2019, with her soulmate, Bill Cobb, and dearest friends, Robert Fakler and Adam Fuehrer. Lois Ann was born in West Columbia, S.C., on Feb. 20, 1974, to Lucille Lowman and the late Earl Larabee. She grew up on a farm with her mother, sister and maternal grandparents. Lois and her sister, Tammy, enjoyed cooking, crocheting and fishing together, although Lois would never touch the worm. She also enjoyed tractor rides with her grandfather around the farm. In 1992, she graduated from Irmo High School and moved to Illinois shortly after. Lois married Michael Miller in 1993 and had two children, Briann in 1994, and Todd in 1996. Her children were her world. She worked for the secretary of state for 12 years, working in several departments. Lois met Bill in 2008 and became inseparable. On the steps of Graceland, Bill asked Lois to be his forever. On Nov. 13, 2010, they said “I do” at their home. Her love grew, adding two more children, Tyler and Amy Cobb. In 2012, the lovebirds ventured to South Carolina prior to their permanent residency in North Dakota. They believed North Dakota to be the best adventure they went on; becoming co-workers and family to everyone who worked at RJR. Recently, the couple had purchased their dream home and couldn’t wait to start their own family farm where they had many plans for their children and grandchildren. Lois had a radiating, southern glow, with a warm heart and smile that brightened everyone’s day. She was an amazing mother who cherished her grandbabies. She loved her dog, hockey games and traveling with her husband. She’ll be remembered for singing “You Are My Sunshine” and being Momma LoLo. Lois is survived by her children, Briann and Todd Miller, and Tyler and Amy Cobb; grandchildren, Taylin Adams, Jensen Campbell and Aubri Hunt; mother, Lucille Lowman; sister and brother-in-law, Tammy and Gene Kelly; many other family members from all over; and her loving dog, Presley. She was preceded in death by her grandparents, Owens and Esther Lowman; father, Earl Larabee; and brother, Danny Larabee. Go to www.eastgatefuneral.com to share memories of Lois and sign the online guest book.